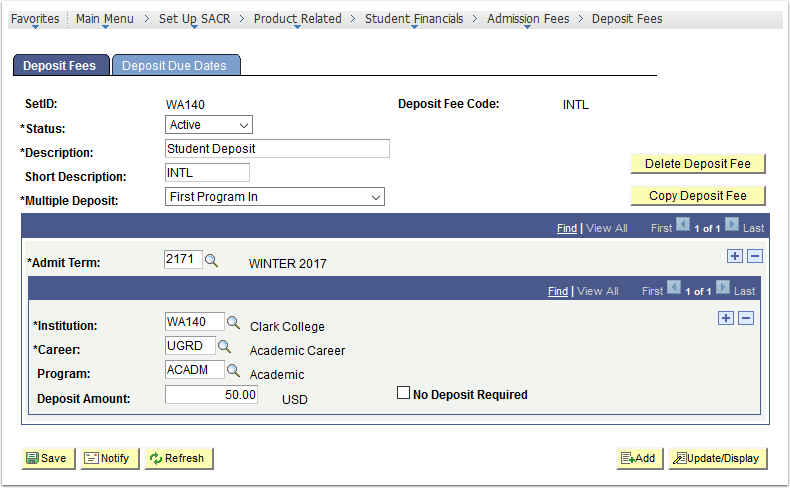 Purpose: Use this as a reference for how to manage deposit configurations within Student Financials in ctcLink. To set up deposit fees and deposit due dates, use the Deposit Fees components. Define deposit fee due dates. 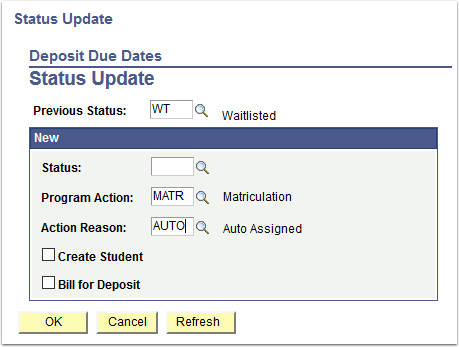 Define status changes resulting from deposits. Note: Some institutions require a deposit fee from accepted applicants to reserve space in an academic program. 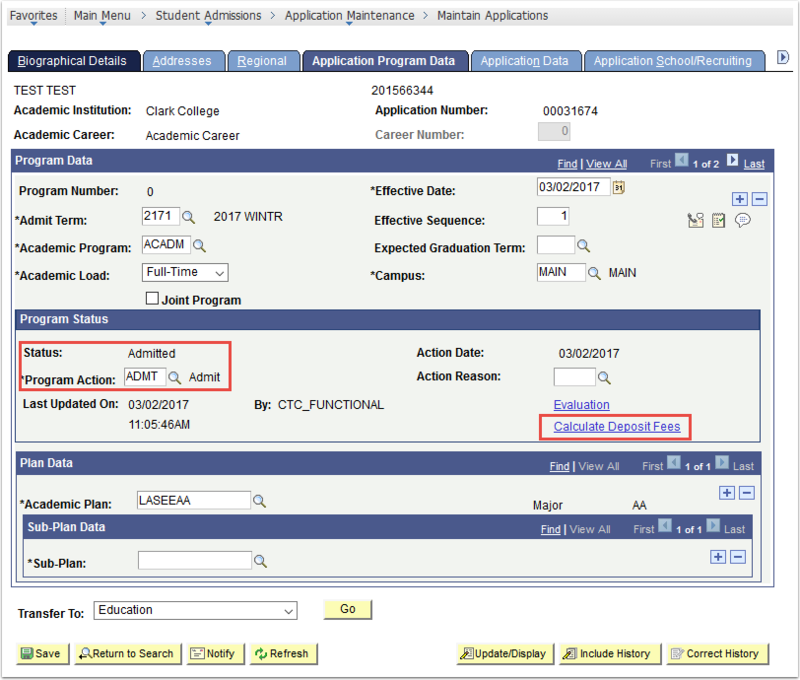 Deposit Fees can only be applied by academic program per application center. 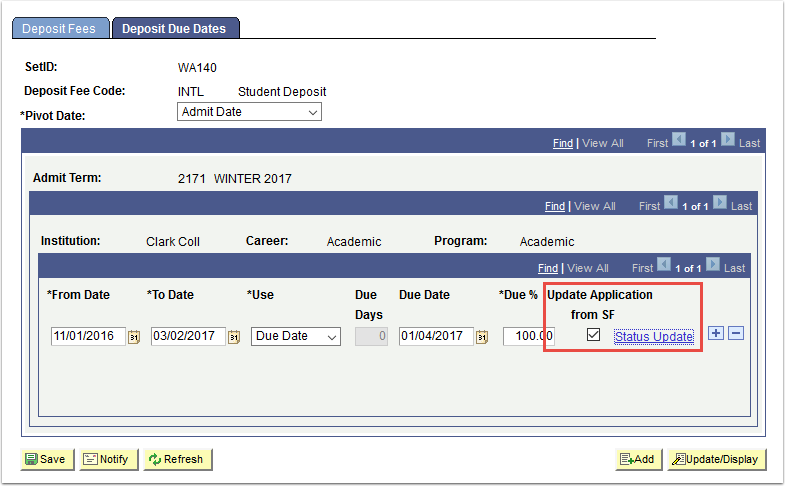 If you select the Update Application from SF option, you must specify how students' program statuses are updated. Warning: If used, this only matriculates it does not term activate. After configuration, the Deposit Fee can be calculated on an applicant that is admitted. It can then be viewed in customer accounts and collected.